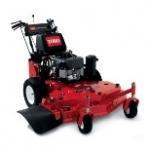 Commercial Mower Depot is an authorized Toro parts and equipment dealer serving DC, MD and Northern Virginia. Our Silver Spring, MD location makes us an easy drive from Chevy Chase, Bethesda, Washington DC, Silver Spring and Rockville. As an authorized Toro dealer we have access to the full line up of Toro riding mowers, Toro push mowers, Snowthrowers and Toro replacement parts. Whether your a homeowner in the Metro DC area or a landscape contractor we have the Toro turf equipment, parts and service to serve you. Check out just some of the most popular mowers that we stock below.